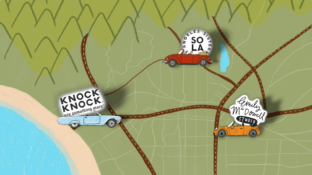 “Knock Knocker Scribbles” is a new column under our “In It for the Money” category, where you can get to know the Knock Knock team—from creative to sales to logistics to . . . everything! 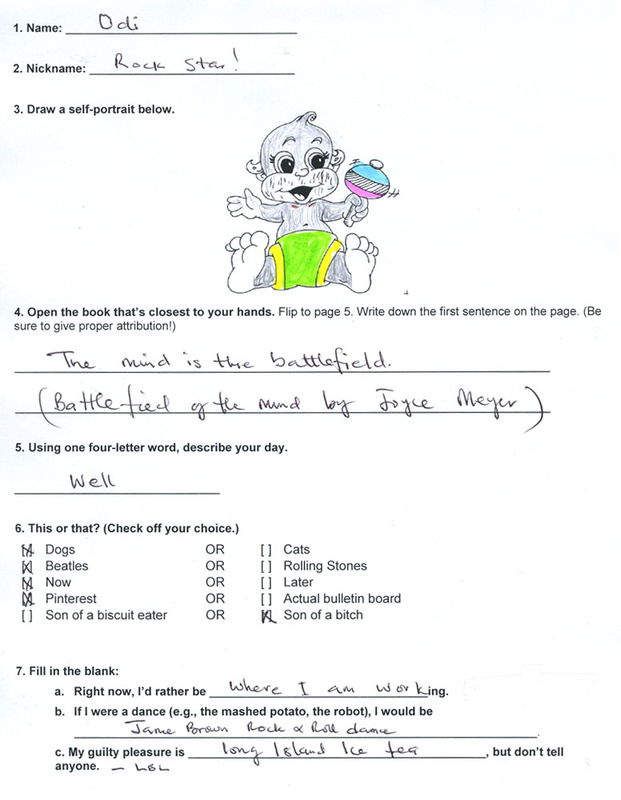 Each week, someone in the office fills out a questionnaire. They are given a day to complete it to their liking, with scrawls, scratch outs, doodles, and all. Odi, is your portrait a metaphor for how you’re young at heart? And is that baby secretly carrying Long Island iced tea in that rattle?